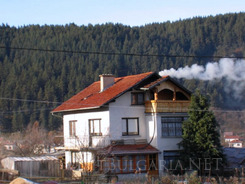 Beli Iskar village near Borovets mountain resort in Bulgaria. 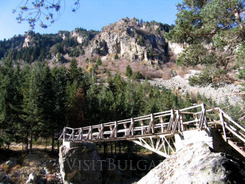 Location: Beli Iskar village is situated at the foot of the Mousala peak in the Rila Mountain in Bulgaria. Everyone who has visited this lovely village is always promising to return. And it definitely worth the effort. The village is huddled in the bosom of Rila Mountain. Beautiful and cosy houses arranged like a rosary among the pine trees. Actually this is not a common village. Everyone will notice that the air is filled with strange tension. You can also feel it in the mood of the locals. Everyone is preparing for something big to happen! Everyone believes in a cause that is soon going to make their little village a really famous site! They are not sure how exactly this could happen but still believe that the rest of the world will know them. The strange event that everyone is expecting with mixed features- fear of the unknown and hidden hope is SUPER BOROVETS PROJECT. Just few years ago when the rumour about the project started, no one could believe it. However it is a fact that the price of the local land went higher. Now the village provides everything needed for tourists, who barely knew the site just few years ago. There is a tourism information center in the village and most of the locals are giving out rooms for rent. Most of the houses also offer small mehanas on their ground floor. Thus visitors have the chance to taste the famous “Rilski zelnik” (special kind of banitsa). This small village surprises with the great enthusiasm of the locals. Two great events shake Beli Iskar during the summer. These are the famous Rock in Rila festival and the Holiday of the Rila Zelnik. Everyone is hearty welcomed in this really beautiful village.